Architectural suspended linear for office, retail and educational applications. Slim profile finished silver RAL 9006 available in two lumen outputs. 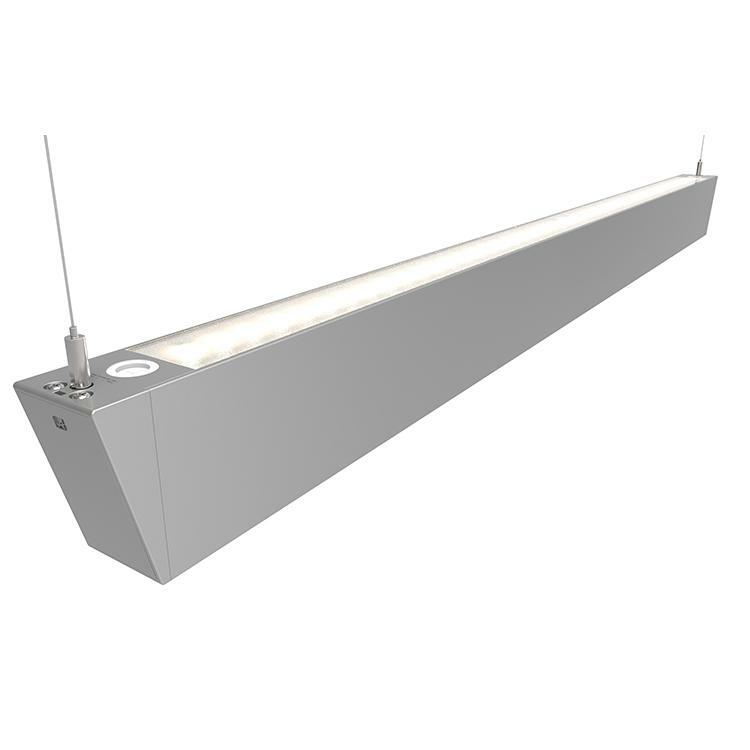 Supplied bi-directional light output as standard (directional only option can be selected if required). Suitable for individual or continuous suspension. Outperforms 28W and T5 fluorescent equivalent. LED lifespan LM80 42,000 hours.